Good morning! I hope you had a wonderful Easter holiday. This is such a beautiful time of the year. Everything is blooming, especially the Cherry Blossoms right now. Ok down to business lol! 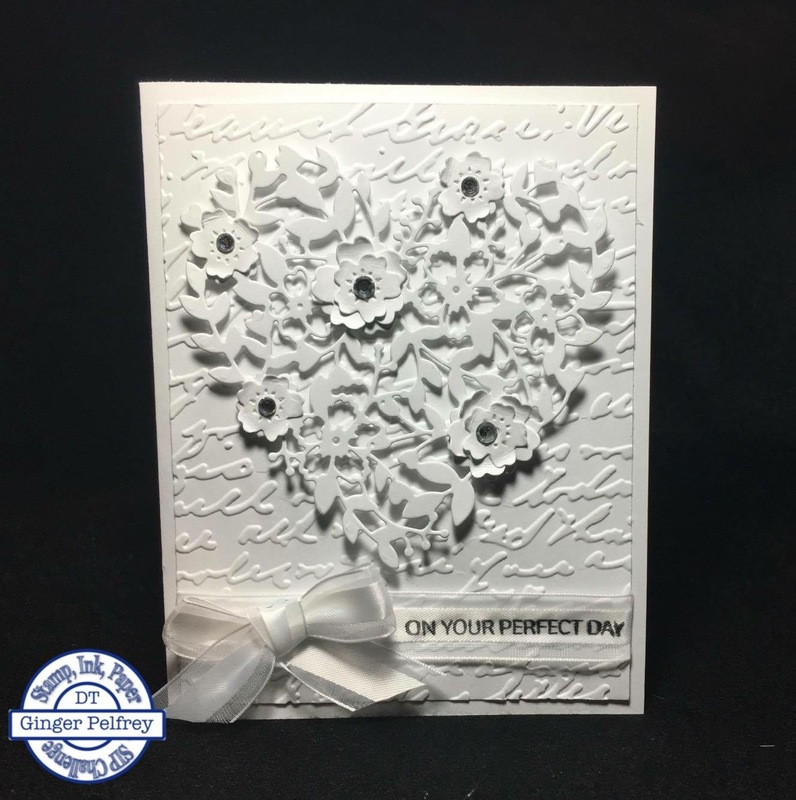 I started with a Whisper White card base and then another layer of white embossed with the Script folder from Cuttlebug. Next I die cut the image in white using the die from the Bloomin Love bundle and accented with layered flowers and rhinestones. I added this to the embossed layer using pop dots. To finish I wrapped a piece of ribbon around the bottom of this layer and stamped the sentiment from the set Your Perfect Day in Stazon black directly on the ribbon and then added a bow using the same ribbon and then attached this to the card base. Thank you so much for stopping by! I hope you enjoyed my card this week and I can’t wait to see what you create for this challenge. 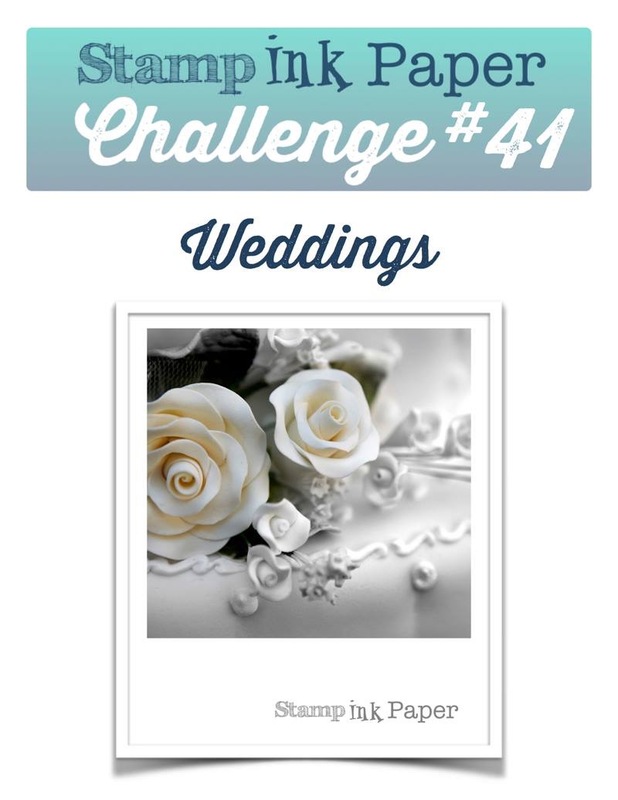 Categories: Stamp Ink Paper, Uncategorized | Tags: Bloomin Love, Weddings, Whisper White, Your Perfect Day | Permalink.